Senior Chelsea Hall on the job at Von Mauer, where she plays piano multiple times a week. Chris Pierce photo. As many high school students wash dishes or bag groceries to earn money, senior Chelsea Hall does what she loves: piano. Hall, who has been playing piano for 11 years, began playing at Von Mauer a year and a half ago. 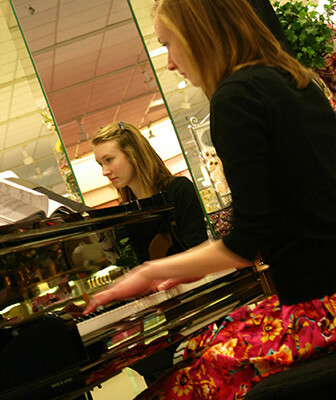 Her job entails playing in the center of the store, providing music for customers as they shop. “I got the job by applying and auditioning. I began in the summer of 2008,” Hall said. Even with 11 years of piano under her belt, she still has to keep up with the job, constantly adding new tunes to her repertoire. In a typical week, she works from anywhere between six and 15 hours. Not only is she being paid, but she also is gaining valuable experience for her potential future. “Piano is my first love. I will always play! 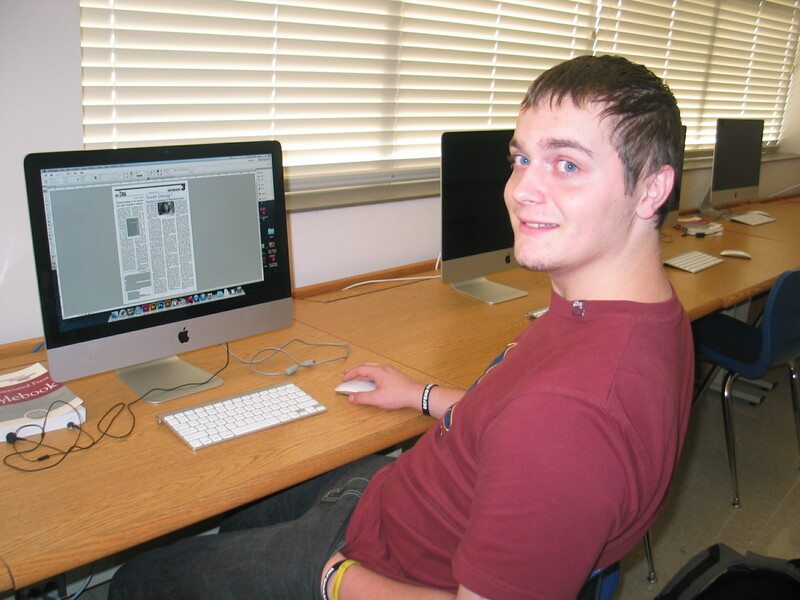 I am considering majoring in music in college,” Hall said. Hall reaps benefits not only the job, but also from the opportunities that accompany it.